Our company MyCaddyMaster SAS, referred to as MCM hereinafter, provides internet customer bookings for renting and selling golf equipment to be collected at airport desks in the most famous golfing destinations. The company MyCaddyMaster SAS is a simplified société anonyme with capital of 13 559 Euros, registered in 48, rue de Varenne, 75007 Paris, France. RCS Paris : 793266966. 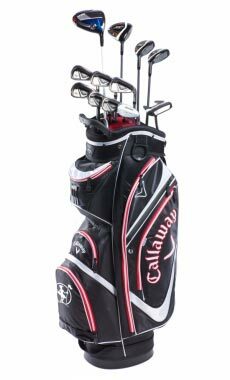 Golf equipments offered for renting or selling are described on this website for indicative purposes only, due to the fact that the customer books a range of material and not a particular item. 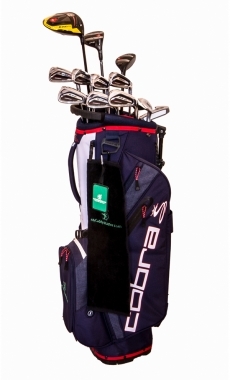 The customer books therefore a type of pack adapted to the practice of golf he intends to perform and will be presented on a priority basis with the items announced on the site or any item technically equivalent suggested by the concerned airport desk. Bookings must be made until the day before the first day of the renting period, taking into account the payments by credit cards. 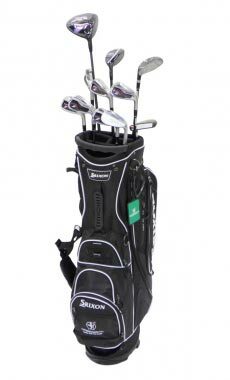 By booking your golf equipment through the mycaddymaster.com website you agree to these General Terms and Conditions presented hereunder. These General Terms and Conditions may be subject to modifications. Applicable conditions are those in force on the date of the booking confirmation. All the equipment offered for rental or sale is described on the MCM website, provided the customers had completed the destination, the rental period and the characteristics of the concerned golfers and under the conditions of equipment availability during the desired period. Renting and selling prices are fixed for each range of equipment booked by the customer, for each MCM airport desk and for each selected rental period or day, according to our renting and selling price lists indicated on the website at the time of booking. Our indicated prices are always all taxes included according to the rate in force at the moment of booking. The customer is therefore aware that the indicated price for the same range of equipment, on a similar date of booking may vary depending on the selected MCM desk. Special conditions: Specific advantages may apply to early bookings, to local promotions during certain rental periods or to last minute offers, only available by internet. Indicated prices may vary at any moment without notice, considering that items will be invoiced based on the price list in force at the moment of the booking registration. Any order confirmed by a payment cannot be modified. All purchases or rentals will be paid with a valid credit card at the moment of booking or purchasing. MCM has entered into a service agreement with HI MEDIA for electronic business which aims at ensuring all necessary features to manage a merchant service and to securely acquire payments over the internet. Only credit/debit cards issued within the international networks approved by GIE Cartes Bancaires are accepted. Financial costs that may be tied to payments by credit/debit card will remain the customers’ responsibility. The customer hereby authorizes MCM to charge the customer’s credit card for any amount due for the entire rental period (the rental period starts on the first day of rent and will last until the last day of rent) and for the sale of accessories, plus any late, broken, stolen, lost or non returned equipment, and for all other amounts payable under the terms and conditions of this Agreement. MCM will charge your credit card for the total amount due for the entire rental period and for the sale of golf accessories at the time of the booking. Cancelled or modified bookings will be credited or charged on your credit card in accordance with these General terms and Conditions. The order validated by the customer on the MCM website becomes effective by the acceptance of the central bank card network. MCM may cancel the order in case of a refusal from the central bank card network. The customer’s bank data, protected by encryption, do not transit through MCM information systems and are therefore not stored by our company. The rental period starts when the customer picks-up the material at the MCM airport desk or at any agreed location in case of delivery, and terminates when this equipment is returned in accordance with the duration indicated on the voucher printed by the customer and presented at the selected MCM desk or at the agreed delivery location. 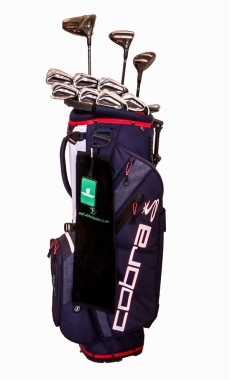 Customers who book more than one golf bag will make sure that all other golfers concerned by this order present their valid passport and a credit card with adequate limits authorized by the credit card issuer at the time of their equipment’s pick-up. Any late return of equipment after the planned return date indicated on the voucher will entail the billing by MCM of one supplementary day of rental at the prices shown in the MCM desk. The rental Agreement is in force only for the duration of the rental period. If the customer holds the material after the rental period without having clarified his situation with MCM, he will lose the benefit of all guarantees planned in this rental Agreement. In case of late collection of the rented material, the customer shall inform the relevant MCM desk as soon as possible. MCM asks the relevant MCM desk to keep the booked equipment at the customer’s disposal for 12 hours. Passed this time, the equipment shall be made available for renting again, without any compensation to the customer. The booked material shall be returned to the MCM desk, or any agreed location in case of delivery, where it was collected. Failure to return the equipment, regardless of the reason, will result in the MCM billing the customer for the full value of the equipment at its public price as new, in addition to the cost of the rental. The rental equipment is for the customer’s personal use only and does not allow subletting or lending or even gratuitous use by other, unless authorized by MCM in writing. The customer is the sole judge of his ability to use the rented equipment. The customer attests to be able to use the rented equipment and pledges to use it cautiously, at no risk for third parties in accordance with the regulations in force. The rental equipment is recognized to be in good condition and shall be returned as such. The equipment being numbered or marked shall be returned with the same numbers and the same mark. Any damage, regardless of the cause, will require direct payment to MCM for the repair or replacement cost of up to the price of new equipment, in addition to the cost of hire. The customer can protect himself against the risk of damage by purchasing, at the time of booking, the “damage/loss/theft” waiver MASTER COVER presented in article 6 below. MCM shall not be liable for delays in the availability of the rented or sold equipment, delays due to circumstances beyond its control, notably in case of accidents, delays in the return of previously rented equipment, modification of regulations, force majeure, strikes and other similar reasons. In such circumstances, MCM will do its very best to make available to the customer an equipment of equal or higher quality according to available stocks at the relevant airport desk. Repairs : The customer pledges to pay the cost of repairing or replacing the rented material, whatever the cause of those repairs might be, except those due to the normal use. Repairs will be done exclusively by our company at the customer’s expense. All materials, equipments and accessories that cannot be repaired for technical or economical reasons will be paid to MCM by the customer at replacement cost, i.e. the amount equivalent to the selling price all taxes included recommended by the relevant manufacturer. Unless the customer purchases the “damage/loss/theft” waiver planned below, the customer does not benefit from any cover against damage suffered by the rented material and pledges his personal responsibility to this damage whatever the reason may be. However, the customer shall not be held responsible for detrimental consequences of hidden defects in the rented material or of non apparent wear unfit for its intended use, as soon as the proof of those defects or wear can be brought by the customer. If the MASTER COVER guarantee is subscribed during the booking process, MyCaddyMaster will give up all actions against the customer and will pay, in case of the normal use of the golf material, the totality of the repair or replacement costs after deduction of the excess indicated below for each type of rented golf material.The payment of this excess occurs in addition to the payment of the rental period. The price of the MASTER COVER protection is fixed at 1, 50€ per bag and per day. 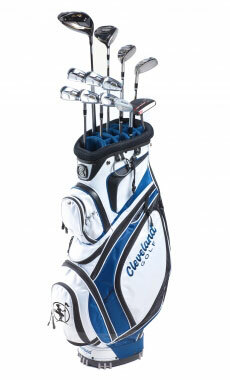 Forgetting, loss or substitution of the golf equipment during the entire rental period is not covered. In this case, the equipment will be charged to the customer’s credit card according to the recommended selling price of the equipment all taxes included. In the case of theft by the customer, substitution or any damage to the material resulting from the lack of respect of the rules of usage or of the regulation in force, or of the terms and conditions of this Agreement, MCM is entitled to exercise recourse for the entire prejudice. *In the case of damage to the golf equipment, the customer will bring back to the relevant MCM desk the damaged material. 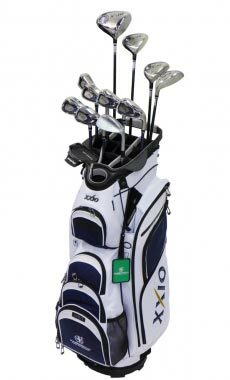 If the head of the club is not returned, this equipment will be deemed as lost or stolen. 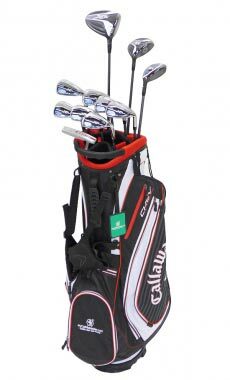 **In the case of theft of the golf equipment, the customer will present to the relevant MCM desk a copy of the theft declaration to the relevant authority (Police). Golf equipment can be returned to the MCM airport desk only during opening hours or to the delivery location only during the agreed due time period (30 minutes). In case of the agreed delivery location, any change in the specified time period should be communicated to the MCM contact indicated on the voucher by e-mail, SMS or telephone and approved by MCM. Unapproved delays beyond the agreed due time period (30 minutes) may generate an extra amount to be charged. For each additional period of 30 minutes, the extra amount to be charged will be 15€. For safety reasons, the customer pledges to point out to MCM potential impacts to the golf equipment. All written elements and codes of property presented on the rented equipment shall not be removed or modified by the customer. The equipment shall not be sold or lent or given as a guarantee. Regarding the rented material, the customer pledges generally not to grant any right, real or other, to anybody, which can affect its use or limit its availability or the entire property of the rental company. The customer may benefit from the right to retract within 7 full days from the date of the booking. However, this right shall no longer be exercised in the case when the rental period has started before the end of the 7 days. In the case this right to retract is exercised within the 7 days period, the amount paid by the customer will be refunded with the deduction of an amount of 1O€ per golf bag for booking charges. This refund will be credited to the credit card used for the booking transaction. A minimum charge of 10€ all taxes included per golf bag plus bank charges will apply to all cancellations. A charge of 30% of the value of the booking plus bank charges will apply for cancellations of less than 28 days from date of pick up. A charge of 50% of the value of the booking plus bank charges will apply for cancellations of less than 14 days from date of pick up. A charge of 75% of the value of the booking plus bank charges will apply for cancellations of less than 7 days from date of pick up. A charge of 100% of the value of the booking plus bank charges will apply for cancellations of less than 3 days from date of pick up. Our online cancellation policy supersedes all other written contracts that may be signed at our MCM airport desks. The rental conditions continue to apply. In case of accident or illness of one person, only the equipment rented by this person may be returned and will entail an invoice according to the number of effective rental days upon presentation of a medical certificate and of the return document issued by the relevant MCM desk. In this case, the refund will be credited to the credit card involved in this booking after deduction of the minimum charge of 10€ per golf bag for booking charges. The booked equipment will be kept for 12 hours by the MCM desk and then cancelled unless rebooked. If the golf equipment is not picked up, no refund will apply. The complaints that happen during the rental period should be pointed out as fast as possible to the relevant MCM desk to facilitate the search of a solution as soon as possible. The complaints that are impossible to solve on the spot or that have not been solved correctly must be transmitted by registered mail within 30 days after the end of the rental period to MYCADDYMASTER, Consumer Department, 48 rue de Varenne 75007 Paris or by mail to customer.service@mycaddymaster.com. We draw your attention to the fact that a fast pointing out of a complaint will help us in finding an efficient solution. Among the information that the MCM Company is requesting from its customers, a few are compulsory for the treatment of orders, others are optional and collected in order to better satisfy its customers by answering their expectations. This address is exclusively dedicated to the exercise of this right and must not be used for any other question regarding orders or complaints. This Agreement is submitted to the French Law. In case of any dispute relating to this Agreement, and failure to an out-of-court settlement, the competent Court will be the Tribunal de Commerce de Paris, that of the MCM head office managing the MCM desk which delivered the golf equipment, to which the Parties allow an exclusive competency.